2" Quick Connect Tube Clamp Fits: Kubota RTV900, Can-Am Commander,Maverick, Viking/Wolveine side tubes. Fits: 2" diameter tube. 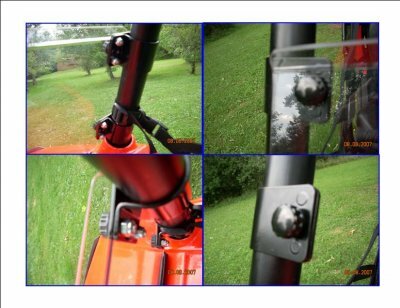 Easily attach windshields and other accessories to your UTV with these Patent Pending "Quick Connect Clamps". Made in the U.S.A. Includes: Thumbscrews. After you install the clamps on your cage you can easily remove your windshield without any tools. Simply, remove the thumbscrews and the clamps remain on your cage. If you have any other model, measure your tube O.D. before ordering. Note: The cross tube on the Viking and Wolverine is 1-1/2” and the side tubes are 2”. This will fit the side tubes only.